If you expect your roofing contractor to provide superior craftsmanship, customer-focused service, and unrivaled efficiency, then Daech & Bauer Roofing is the company for you. We offer comprehensive roof repair and replacements services, and bring a level of passion to our work that other roofing companies serving the Belleville, Illinois area can’t equal. Our commitment to our customers has served us well through the years, and we are proud to have successfully completed more than 10,000 projects and counting. 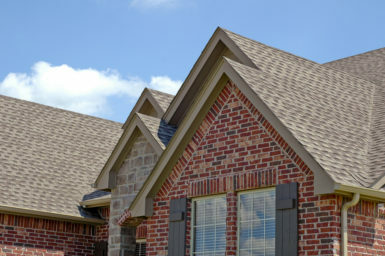 Many of our clients are home or business owners whose roofs have been damaged by high winds or hail. If not dealt with promptly, this type of damage can lead to costly leaks and roof failures. Fortunately, Daech & Bauer Roofing has extensive experience with insurance claims, and we participate in each step of the process to ensure that our clients receive the compensation they deserve. Once all damage has been noted and the insurance claim has been paid, our roofers will work with precision and efficiency to ensure the roof is returned to optimal condition. If your roof needs to be replaced, we will install a complete roof system that tackles the main issues that can lead to roof deterioration. Your new roof will be properly sealed to keep water out and prevent mold and mildew growth, and it will be able to stand up to high winds and driving rains. Additionally, we will make sure your attic has sufficient ventilation to help prevent heat and moisture buildup. To learn more about the factors that have helped Daech & Bauer Roofing become one of the most respected roofing companies in the Belleville, IL area, contact us today.